Fall is such a great time for Apples. If you can’t pick your own, be sure and choose from a variety of apples and produce from Kauffman’s Fruit Farm. We have received a few amazing boxes from them already and created yummy Apple Butter Bars and French Apple Pie. Kauffman’s Fruit Farm is located in Pennsylvania Dutch Country and has many products known in that area. 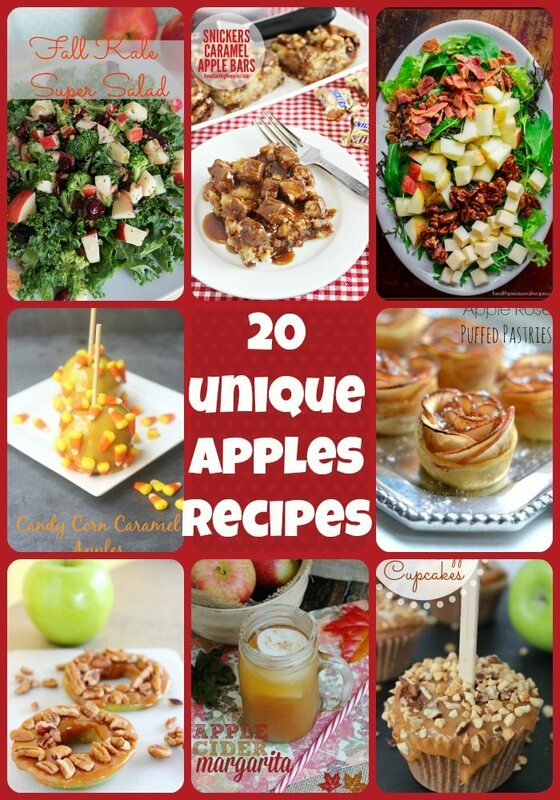 To get you in the mood to celebrate the flavors of Apples we are sharing 10 Unique Apple Recipes for Fall. 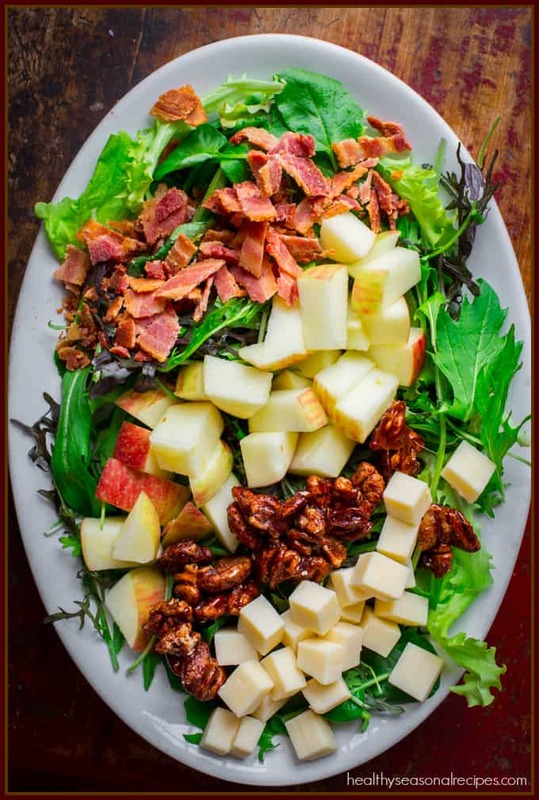 Many of these recipes can use fresh apples from Kauffman’s Farm or Dried Apple Schnitz. Snickers caramel apple bars look so decadent. 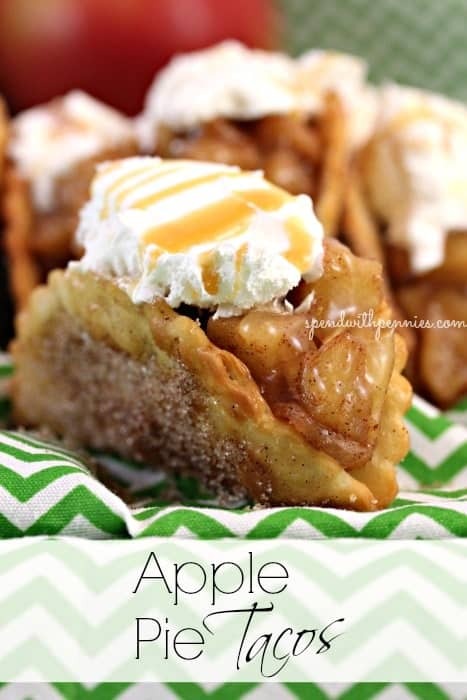 Who said apple recipes all had to be healthy? Isn’t this the cutest way to decorate your Caramel Apple Cupcakes. Place a tray out and watch them get gobbled up. Look at all the yummy fall veggies in this fall kale super salad. I could eat this as a main entree. What a unique combination of apple and salmon. 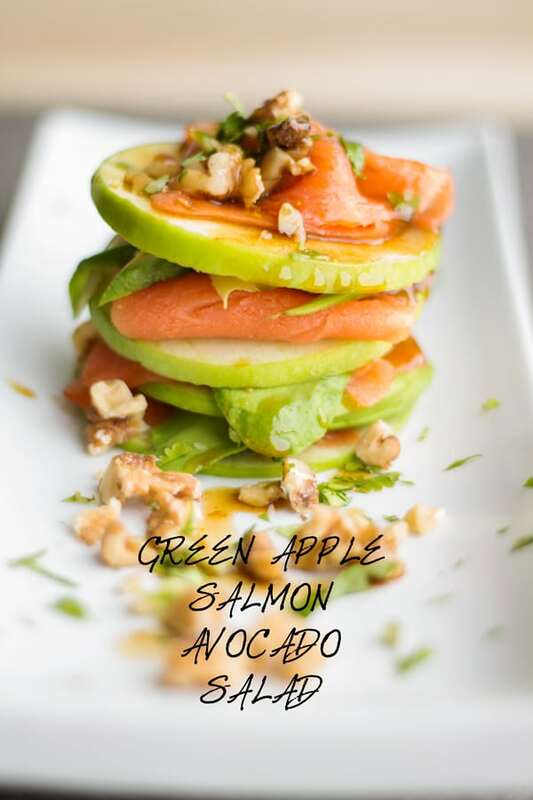 Surprise your dinner guests with this green apple salmon avocado salad. 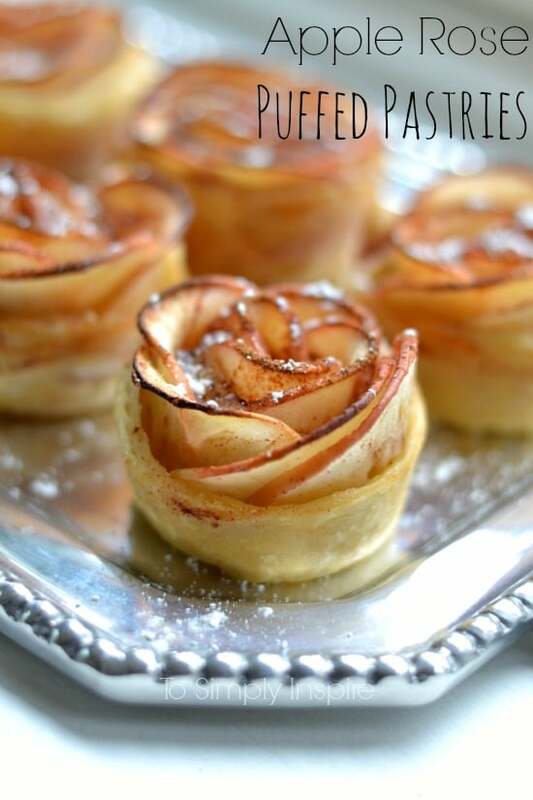 If you are having a brunch you need to take the few extra steps to make these amazing apple rose puffed pastries. It may be colder outside but wouldn’t this apple cider margarita recipe taste amazing on a fall day? Fall is such a busy time in our house I love the idea of these easy baked stuffed pork chops. Use up all that extra Halloween candy and make these candy corn caramel apples. Not only will they taste great they are pretty too. There are ton of recipes that utilize dried apples as well. Be sure to buy it from the folks that have been making it for years. Kauffmans Fruit Farms. 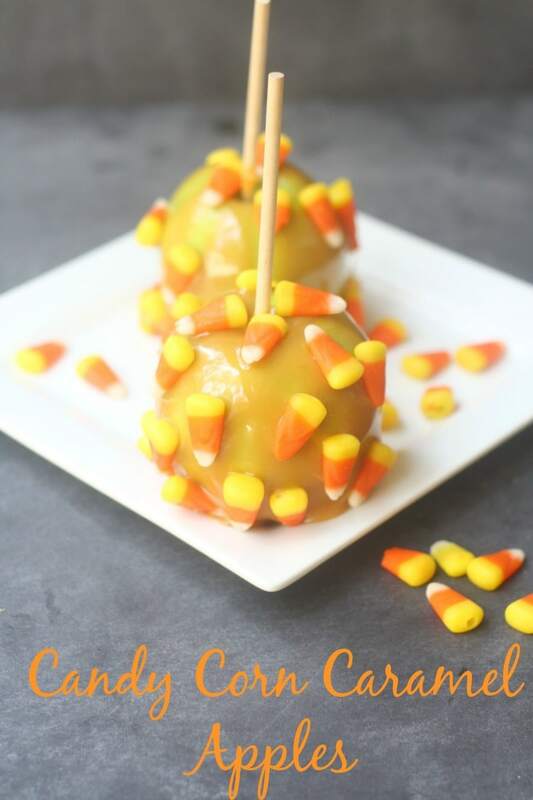 I love the idea of putting candy corn candies on top of the caramel apple! I hadn’t seen that before! We have an apple tree and a pantry full of apples right now. I keep wanting to attempt caramel apples, but that picture of candy corn caramel apples may finally have given me the courage! Oh my gosh these are so creative! I’d love to start trying some of the dinner recipes with apples! Oh my these all look SO good! I would love to try each one of these wonderful recipes. 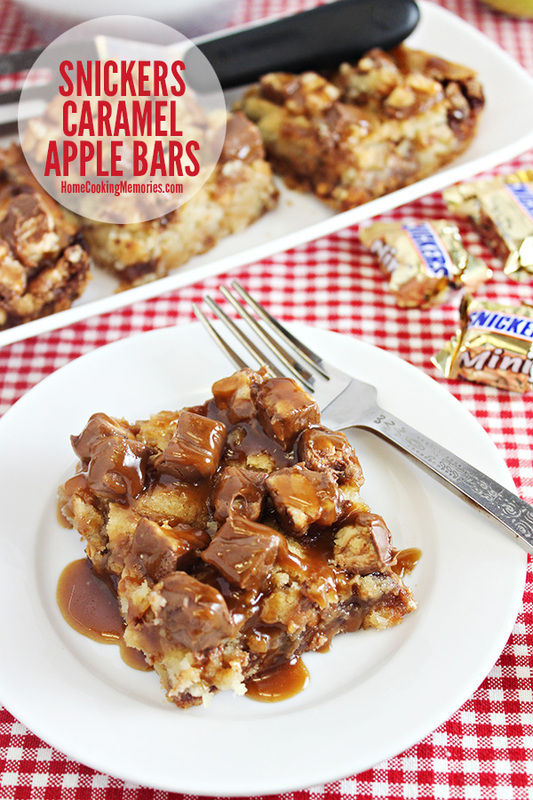 I’ve got to try this —-> Snickers caramel apple bars! Now I want to go apple picking. 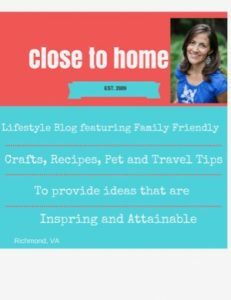 Great recipes. I miss living in an area that has apple trees. We used to love picking fruit off the fruits. All of these recipe look fantstic. That Kale Super Salad is my favorite.